Rob and Becky are high-school sweethearts who have now been married 35 years. They have four children, three son-in-laws, one daughter in law, and four grandchildren. Their ministry began in 1986 with Berean Bible College of Assemblies of God. 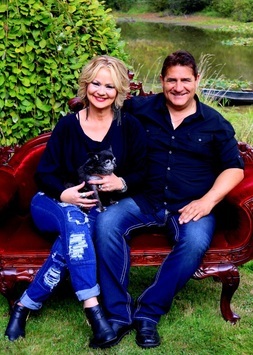 This dynamic couple served as regional TBN KNN TV Hosts and Radio Hosts for KMNT from 1993 - 1998. They have a passion for God and family and a deep commitment to Christian community and the expansion of God's mission throughout the world. Rob and Becky founded RiverView Community Church in October 2008 to reach the city of Kalama and surrounding areas.